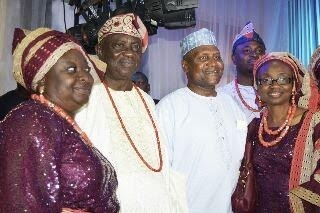 Ambassador Oluwole Coker, Nigerian former Ambassador to Ivory Coast in the company of his elder brother, (Rtd.) 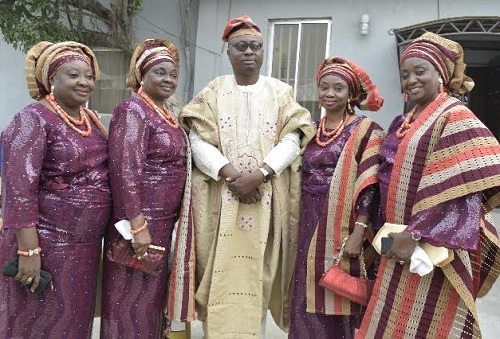 Colonel Oladipo Coker led the families of the (Baba Aladura), Nathaniel Ekundayo Coker (MBE) and Majiyagbe Dynasty of Oke-Ona, Abeokuta alongside their younger siblings, friends, well-wishers and colleagues to bid Special Mother in Israel, Christiana Modupe Coker good bye at a well receptive weeklong events which took place in Kaduna and Lagos respectively. 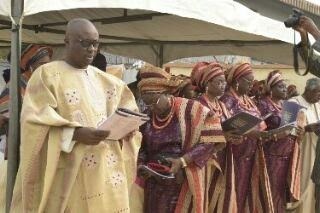 Being the wife of the first Baba Aladura of the Cherubim and Seraphim Movement in Nigeria and Overseas, the Christians community took a larger part of the event which started from Kaduna, where the deceased popularly known as Special mother in Israel lived throughout her life until two years ago , when she came to Lagos and resided with one of her daughters, Mosunmola Ayeni, a polyglot and students affairs officer at the Nigeria French Language school, Ajara, Badagry in Lagos state. The Lagos event which had its wake keep at Ladipo Coker Close in Festac, Lagos witnessed the cream de la cream of the society coming in to pay their last respects. During her life time. Mama Christiana , according to many who spoke, saw in her a philanthropist who will give out support irrespective of your tribe or race. Her big house in Kaduna was a haven to new comers in town, especially those coming for Christians programmes. Meanwhile, high profile dignitaries including the Chairman of All Progressives’ Congress (APC),Lagos State chapter, Otunba Henry Ajomale; business mogul, Alhaji Aliko Dangote; Otunba Olusegun Runsewe, ex Nigeria Tourism Development Commission ,NITD; (Rtd.) General Ike Nwachukwu; the first Military Administrator of Osun state, (Rtd.) 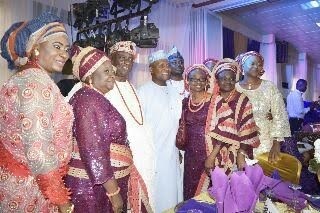 Colonel Leo Ajiborisa; Obas; Diplomatic Community; Cherubim and Sraphim members; Archbishop (Prof.) Adebayo Akinde, former Archbishop of Lagos West Diocese of the Anglican Communion, etc were fully in attendance. His eldest son (Rtd.) Colonel, Oladipo Coker, revealed that Mama’s wish that “we must all be good to whoever comes our way was one of the guiding principles that has contributed to my career development before I retired from the Militar”. For Rhoda Ariba, Mama loved the promotion of Yoruba Language and she did encourage all of us including the children, grandchildren and the great grandchildren to speak it. To her, if other tribes are proud of their Language, we should not join those who wants Yoruba language to go into extinction, hence the need to speak it. Mosunmola Ayeni, whose house Mama was since she relocated to Lagos two years ago, was still shedding tears as of time of reporting this news. To her, a confidant is gone. “Nobody will meet mama once and won’t like her. She is accommodating and tolerant. To her, family must be united. To her, nobody should speak negative things about Nigeria, but to promote what can stand Nigeria out amongst other great Nations. ‘Lawunmi Pearce recalled that the discipline Mama instilled in all her children has been passed on to the younger generations in the family. “She was a strong disciplinarian and prayer warrior; always fasting in order for the children to become successful, not forgetting to tell us to be hardworking. Even when our Daddy died while mama was still young, she took it upon herself to rise up to the challenge and got all us trained. We are all graduates and leaders and achievers in all our endeavours”. Mother in Israel Christiana Modupe Coker nee Majiyagbe died at a ripe age of 92. She was born on the 15th of November 1924 in Abeokuta to Mrs Olatilewa Majiyagbe of Oke Ona, Abeokuta and died on the 30th of November 2016. With early education at Gibson White Primary School and then secondary education at Methodist Girls School, Yaba, Christiana Modupe Coker showed early signs of industry. She worked at the then popular Kingsway Stores, Idumota, before being swept off her feet in marriage to Nathaniel Ekundayo Coker (MBE) in 1945. The couple later moved to Kaduna where Christiana’s husband was operating from as the Baba Aladura, the Spiritual Leader of Cherubim and Seraphim Movement Church Nigeria and Overseas. 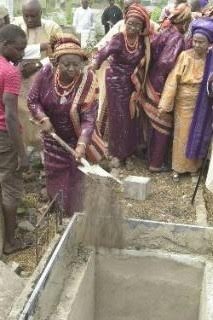 There in Kaduna, Christiana lived for 60 years before returning to Lagos in year 2012. Survived by eight Children, She was a big time Contractor and widely travelled in her life time. Are you visiting Lagos and looking for cheap human hair to take back home with you? You may want to take a rain check on the invitation from hair vendors at Lagos Island market. No doubt the human hair trade in Lagos is budding and the market offers a myriad selection of gorgeous human hair: Russian, Peruvian, Chinese, Burmese and more, however, the options you find in the form of wigs, weaves (extensions) and attachments may not necessarily be the best, and for valid reason too. Jumia Travel, Africa’s no. 1 online hotel booking service suggests 4 of the reasons why Nigeria may not be the best place to buy human hair. Human hair is supposed to be premium, but with the abundance of “exotic” human hair including Peruvian, Brazilian, Mongolian ,Filipino, Cambodian, Russian virgin hair and more on the market, one does have to ponder and wonder if it all is not nothing more than a marketing ploy. 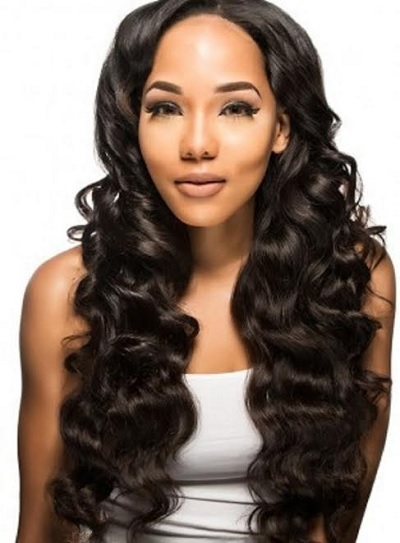 Most vendors at Lagos Island key into the mystique of human hair being the ultimate premium virgin hair with the perfect texture and luster and sell all sorts to unassuming customers as most times, it is even hard for an expert to tell the difference between these fakes and the originals. Although fake human hair abounds within the market, the cost price in general is still very steep. Human hair is especially expensive, even when they are original, as the marketer usually factors in the cost of importing it, caring for it and packaging it. Vendors at Lagos Island end up purchasing the hair about twice the original price. Human hair is originally natural- they can be bleached, dyed, curled, straightened and more, just as you can do with normal growing hair- and are most times affected by extreme heat and moisture if not stored properly. The stalls at the Lagos Island are not well equipped to store these bundles of hair as they expose them to harsh conditions and hardly care for them properly. As a result of this, these human hair bundles quickly lose their natural luster after purchase and buyers very difficult to groom and manage. In the bid to reduce cost, some of these vendors at Lagos Island buy the hair in its original form and take on the task of processing the hair, either chemically or by steam, so as to achieve a desires wave or curl pattern and a luster that will blend with textured hair. In the process however, sometimes the original texture of the hair is tampered with and the hair is not properly sown, leading to eventual complaints of shedding and bulky wefts from patrons.